This week's episode of Star Wars: The Clone Wars is titled "Secret Weapons" and follows the story of R2-D2 and his fellow astromech droids as they embark on a dangerous mission against the separatists in the middle of the clone wars. You can watch a fantastic preview of the episode right now at StarWars.com. 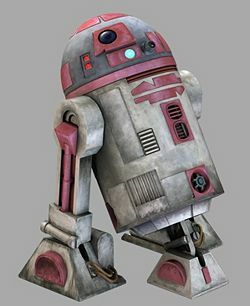 One of the droids joining R2 for the adventure is a new pink droid, QT-KT. 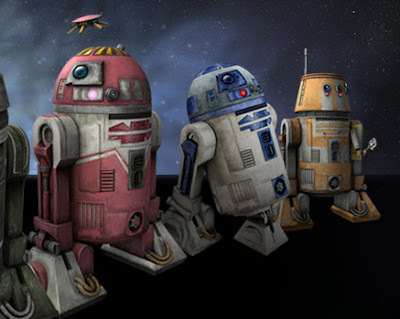 This pink astro droid is actually the second pink robot to be seen in The Clone Wars. R2-KT, the memorial droid built by the R2 Builders club for 501st Legion founder Albin Johnson's terminally ill daughter Katie, has been a force to reckon with in the Star Wars community since young Katie's passing in 2005. Not only has the real-life droid made appearances around the country - the pink astromech has been turned into a Hasbro action figure, featured in numerous Star Wars books, and even episodes of Star Wars: The Clone Wars. The curious viewer of The Clone Wars might ask, "What is a pink droid doing on a secret mission in the middle of a war?" Looking back to World War II, we find that pink is actually well-suited for any number of secret missions. World War II is filled with wild stories and seemingly crazy ideas. But when the world is at war and times get tough, even a seemingly crazy solution is worth a shot. That was the case for the pink fighter planes seen flying through the skies of Europe. Pink was discovered to be a very effective camouflage during dusk or dawn, especially for reconnaissance planes under cloud cover. 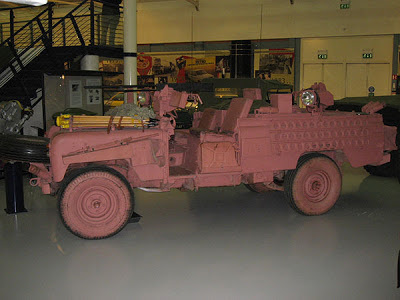 The idea was first pioneered in the Royal Navy by Lord Mountbatten, who noticed early in the war that one civilian ship in his convoy, still painted a grayish pink color, did not stick out like all the rest. The simple science is that pink absorbs light, thus making it better in many conditions than colors like black (which actually make you stand out more in low light conditions). It proved so effective that he ordered all the ships under his command to follow his newly-developed paint scheme. 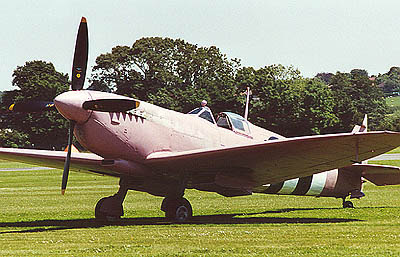 This insight was used throughout the war and even into the Gulf War, where modern British fighters and tankers maintained the light pink paint scheme. This week, we'll see just what is so secret about all of these new little droids. If you've watched the preview, you know it's more than just their paint scheme.